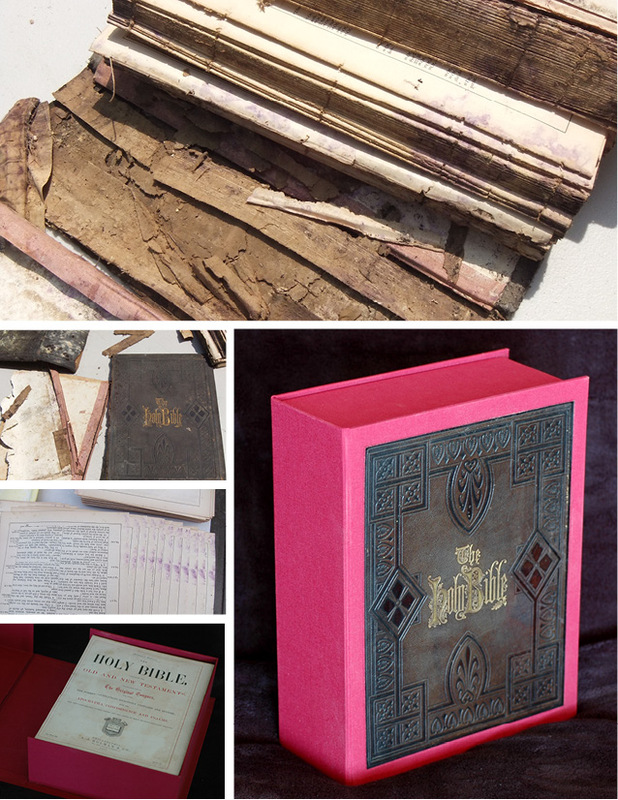 I recently restored three bibles. Here is the second before and after. Unfortunately this book was too far gone to justify rebinding, so I made a custom clam-shell box for it. The original leather cover was saved and dresses up the front of the box.